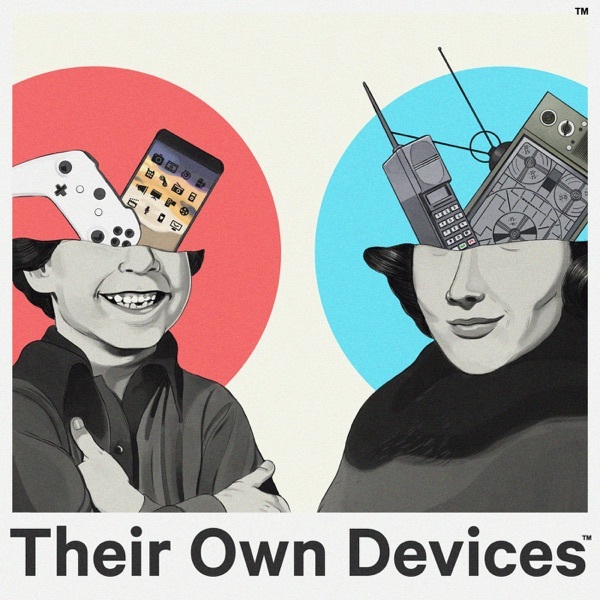 Their Own Devices | Listen Free on Castbox. On this episode Marc & David sit down with 4 high school students and get right to the question most parents are wondering: “If we had access to your Finsta or “fake Instagram” account, what would we find?” The guests don’t hold back and take Marc and David on an entertaining and eye opening journey through the secret digital lives of today’s teens. It turns out Instagram and finstas in particular play a central role in teen culture- for better or for worse. The Internet didn't create hate speech. But the digital world has transformed its reach, volume and dangerous tone in unprecedented ways. It's only a matter of time before our kids encounter cyber hate. When it does surface, we want them to be prepared. On this episode Marc and David discuss the proliferation of cyber hate with Jonathan Greenblatt, CEO of the Anti-Defamation League (ADL), one of the most respected civil rights organizations in the country, which operates the ADL Center on Technology & Society to help tackle this online epidemic. Social media use among teens is increasing year to year. These digital platforms enable adolescents to communicate more, meet new people, build communities, be creative, and express themselves. But surveys and studies suggest that the expanding use of social media places enormous pressure on teens, and that the decline in face-to-face interactions is leading to a range of negative outcomes. As adults we’re observers of this digital culture, but our kids are living it. What do they think? On this episode Marc and David sit down with three high school students who have examined how social media has influenced their lives and their generation. It turns out, we can learn a lot from them. As parents in the digital age, we’re likely to see troubling things online about other children in our community. Your son or daughter may proactively show you another kid’s post or perhaps you discover something concerning when monitoring your own child’s social media accounts and devices. It could be sexually suggestive images, photos of teens engaging in illegal behavior, an offensive meme, cruel comments, thoughts about self-harm, or unusually violent videos. When should one parent contact another parent about something she saw online? And when is that likely to just make everything worse? On this episode, Marc and David explore these controversial and emotionally-charged issues with two California Moms, Michelle Dennedy and Sharon Anolik. Michelle is the Vice President and Chief Privacy Officer of Cisco, published author, and advocate. Sharon is an award-winning data strategy, compliance and ethics executive and frequent presenter on privacy, information security, and Internet safety. Parents today are raising children in a new digital environment and medical research demonstrates that the use of interactive digital technology affects kids’ behavior and development. Parents need to be conscious of exactly how kids are changed by screens. On this episode, Marc and David explore how digital technologies influence kids with one of the senior-most experts in this field, Dr. Michael Rich, Founder and Director of the Center on Media and Child Health at Boston Children’s Hospital and Professor at Harvard Medical School. Dr. Rich explains in plain language what parents need to know about the influence of interactive media, violent video games, smartphones and social media on kids. The sharing of explicit photos is becoming a more common practice in teen culture. Digital technology and mobile apps like Snapchat make it fast and easy to instantly send and receive naked pics. Both boys and girls are actively participating, much to their parents’ chagrin. But why? It turns out that boys and girls may have different reasons for sexting. Certainly some girls voluntarily participate or even initiate. But other young women report being pressured into sending photos and grappling with challenging issues about reputation, body image, a “need" for compliments and attention or simply the desire to please. In this episode Marc and David sit down with three young women who are seniors in high school to hear their perspective on this controversial topic and learn about their personal experiences, both good and bad. When our kids start dating, it opens up a whole new world of challenges for parents. It always has. But today teen romance comes with a unique set of digital challenges and information-age risks. Whether it’s your son or daughter, you want them to have a positive experience. To be supportive parents, we need to understand how our kids communicate, meet potential romantic interests, flirt, date, and even break up. On this episode, Marc and David chat with two teens, Haley and Ben, about the significant role technology, apps, and social media play in their lives and their relationships. Social media and engaging online are part of being a kid today, but just one post, tweet or text can get a student suspended or expelled, ruin friendships, impact future job opportunities, or influence college admissions. Right or wrong, a single, split-second digital decision can damage a teen’s reputation and permanently impact a child’s digital footprint. This is a lot of pressure for an adolescent, who is just trying to navigate the high school years and all that goes with it. As parents, we need to help our kids understand that their digital reputation is important and that what they do online matters. On this episode Marc and David explore the complex issues around online reputation with Diana Graber, Cofounder of Cyberwise, a leading online safety and digital literacy organization, and author of Raising Humans in a Digital World.